Everyone who is knee deep in the cryptocurrency business knows that cryptocurrencies are one of the most volatile of all things ever created. Today, it could look like the hope of the future, tomorrow it could look like the end of the world doomsday everyone has always dreaded. Recently, bitcoin – the mother of all digital coins – had her own fair share of the price swing. Bitcoin swung from $20,000 to as low as about $12,000 in the month of December alone. Some analysts have given reasons as to why this happened, and what it could mean for the future of cryptocurrencies, as well as a heads up for people who plan on investing in cryptocurrencies in the coming year. One of such an instance was when a huge cyber-attack was launched against a South Korean digital currency exchange firm stealing approximately 17% of all assets belonging to the firm. This event not only affected the South Korean firm but also caused a large number of people to sell their bitcoins and other digital coins they owned particularly in the Asian market. Despite the fact that North Korea is being investigated for the crime, everything lost is gone and the people who lost their investments now have to bear the cost. 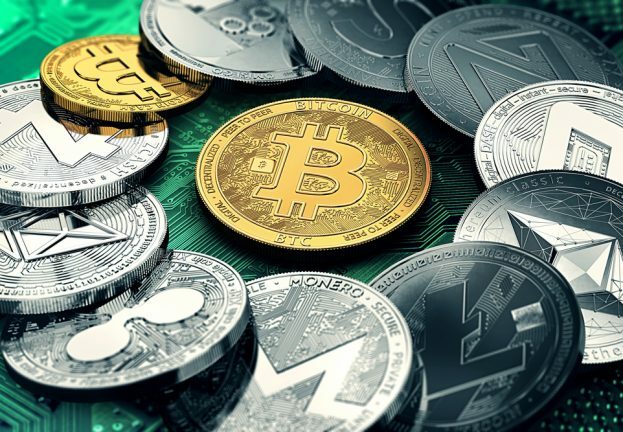 Even though Bitcoin is gradually making progress towards becoming a mainstream investment asset (because of the CBOE and CME bitcoin future announcements), these security breaches are definitely a problem and hindrance to the growth of the cryptocurrency and attraction of more investors to it. Bitcoin isn’t regulated by any central bank, and its value is gained from just how much confidence people have in its market and value tomorrow. Unlike fiat currencies that have the backing of the central bank to make sure it is stable, bitcoin has no such bank or regulator behind it. Thus, as the people’s confidence in it increases, its price goes up and vice versa. So far as everyone else is concerned bitcoin is still a gamble – and to some, a very big one. Bitcoin could crash anywhere in the next year or even beyond, even though its highly speculative. Thus, what anyone who wants to invest in bitcoin should know is that he or she could lose everything he put in or gain more than even expected – it’s a choice best left to the investor to make. What most analysts advise is to not invest into bitcoin on a short-term scale but rather look at the bigger picture of some years to come. Bitcoin is unstable, yes, and there is quite the distance to cover in resolving this. The driving factor behind bitcoin’s growth this year has been the wider public coming to know much more about it and beginning to accept it as the currency of future trade. Bitcoin’s future depends to some extent on the approval it will receive from various governments and their central banks – something it doesn’t have from any at all, at the moment. But as big names like Amazon, Apple begin to look for means to integrate bitcoin into their payment systems, bitcoin might as well just have that bright future then.